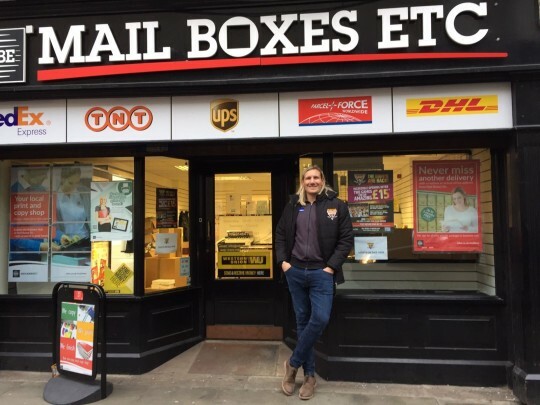 Rugby League stars Huddersfield Giants have teamed up with local post, parcel and print specialist Mail Boxes Etc. to make Giants’ special double offer tickets available for the first two home games. Located in the heart of Huddersfield town centre at 6 Queen Street, Mail Boxes Etc. is the official ticket hub for the club for the 2017 Betfred Super League season. Double tickets for the Giants’ matches against Salford Red Devils on Thursday 16 February and Wakefield Trinity on Friday 24 February, both 8pm kick-offs, are available from the store for just £15 each. Mail Boxes Etc. Huddersfield is open from 9am to 5.30pm on weekdays and 10am to 2pm on Saturday.